For nearly a decade, a company known as Harris Corp. managed to sell sophisticated military surveillance equipment to police departments across the U.S. without any elected policymakers knowing that their tools even existed. A proposed law in Sacramento could ensure that this history never repeats itself. The particular tools built by Harris Corp. are cell-site simulators, sometimes described as a “Stingray” (after the trade name of an early version). They monitor cell phone networks by mimicking a cell tower and gaining transmissions from cell phones near it, thereby exposing the phones’ locations and unique identifiers (such as an IMSI number), and enabling capture of metadata and unencrypted voice and text content. This saga reflects how executive secrecy can extend from Washington all the way down to the local level. While originally developed for use in military theaters, cell-site simulators are also increasingly purchased—and deployed without civilian oversight—by police departments across the U.S. While presented as tools to enhance public safety, cell-site simulators have been used in the U.S. to monitor peaceful activists. One early example involved a 2003 demonstration in Miami (in which the author of this post participated) opposing global corporate governance via undemocratic international trade agreements. At the time, no one outside law enforcement, the military, and corporate contractors even knew that cell-site simulators existed, since the FBI had insisted on non-disclosure agreements to keep civilians—including local officials and judges—in the dark. But in spite of corporate and government secrecy undermining public oversight and trust, they eventually came to light after a jailhouse lawyer serving a prison sentence for credit card fraud took it upon himself to investigate, discovering a racket with tentacles gripping local police departments across the U.S.
Due to local laws secured by grassroots campaigns, several cities around the country—including Oakland, Berkeley, and Seattle, as well as Somerville, MA—now bar local police from obtaining surveillance equipment without approval from independent local policymakers, following meaningful oversight of the technology and proposed policies. Most importantly, before the city council votes on whether to approve the spy tech, the public must be notified of the issue and given an opportunity to be heard. In most cities and towns around the country, however, police unilaterally decide whether to acquire surveillance technologies. Local elected officials and the public are cut out from the oversight process. The opportunity to strengthen local oversight is one reason that EFF has supported SB 1186, a proposed measure currently pending before the California state legislature that would increase transparency in the acquisition of surveillance technology by local police departments. 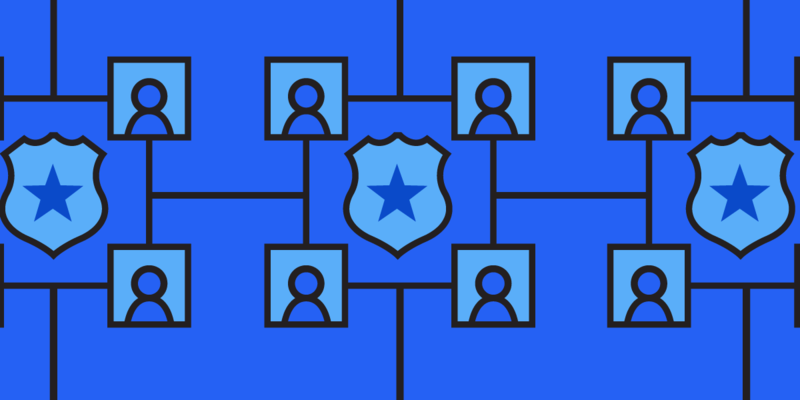 In particular, the bill would require law enforcement agencies to develop use policies, and justify the public safety rationale, before acquiring powerful tools that could easily be misused—and even more easily undermine the rights of community members. This year’s SB 1186 is modeled on a similar proposal from last year’s legislative session, SB 21, which we also supported. We were disappointed by recent amendments watering down the bill’s provisions for ongoing oversight. Previous versions required law enforcement agencies that acquired surveillance tech to periodically report to civilian authorities on how they used it. By eliminating these critical annual use reports, the recent amendments limit opportunities for public oversight of how surveillance tech is deployed. On the other hand, the measure would vastly strengthen oversight relative to the indefensible and completely opaque status quo. Because the bill would expand transparency and community control over the acquisition of surveillance technology, we continue to support it. We encourage members of the state legislature to enact it—without further amendments—for the Governor to sign into law, and also encourage Californians to raise our voices in support of the measure. Wherever local coalitions have organized around community control principles, they will continue to enjoy opportunities to propose more demanding limits, such as post-acquisition reporting requirements. Local coalitions also will have opportunities to demand substantive limits on spying technologies, such as judicial warrant requirements for targeted surveillance methods, or limits on information retention, dissemination, or use to prevent surveillance tools from being used for trivial—or worse yet, corrupt—reasons. All too often, and in far too many places across California, police routinely acquire and use sophisticated spying technologies in secret, without public oversight. In a nation facing such profound divisions and questions about the legitimacy of law enforcement tactics, every community in California could use a little sunlight.